In association with Rosemount Development Trust, the Glasgow Institute of Architects is pleased to announce its latest competition for a design for Royston Spire. The spire has long been overlooked as a Glasgow city landmark despite its prominent location. To celebrate the year of its 150th anniversary, GIA and the Trust invite architects and students to consider a scheme to highlight the spire, focussing on lighting and interpretation along with other concepts. 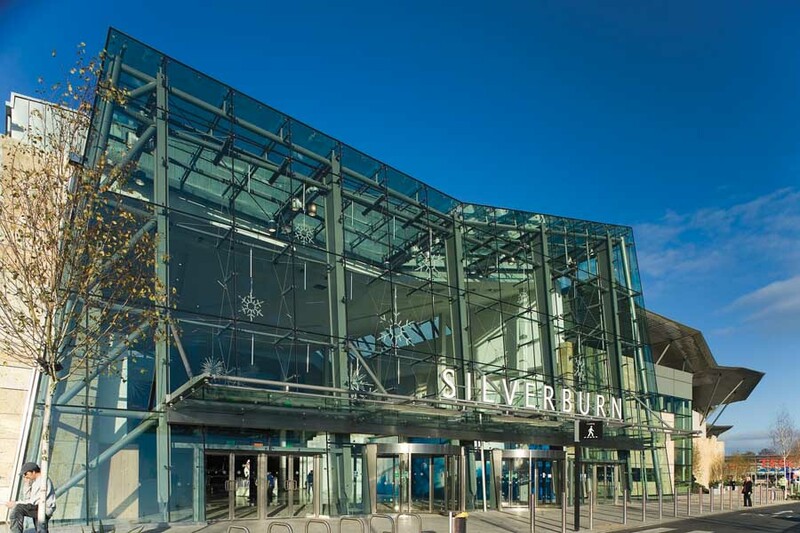 The aim is to complete the installation of the project late 2015 so designers are asked to consider the technical and budgetary constraints of the listed structure and the available funding. An open day will be held on 18th April 2015. Rosemount Development Trust invite entrants and local residents to join them for a tour of the spire and the opportunity to take part in the Trust’s Oral History Project. 18.04.2015 Community event to be held at Rainbow Hall adjacent to spire. Rosemount Development Trust Limited was formed in 1989 by a group of local residents who were concerned about the high level of unemployment and poverty in Royston. Since its formation, the Trust has developed an important range of services for the residents of the area. These have been centred within the Millburn Centre. Rosemount Development Trust is a company limited by guarantee, with charitable status. Roystonhill Spire & Park Ltd is a subsidiary of Rosemount Development Trust Ltd, formed to restore, preserve and maintain for public benefit the A listed structure forming Roystonhill Spire, in recognition of its outstanding architectural merit. The A,P&P committee has as its main focus the promotion of Architecture to the wider public. Through this committee, the GIA has promoted several initiatives that have helped inform wider debate on Architecture and how that affects people and communities. The GIA geographical spread is west central Scotland therefore we aim to address these matters in contexts that range from large urban areas to local rural communities. The A,P&P committee work on a programme of activities based on the theme of ‘cities, towns and neighborhoods’. 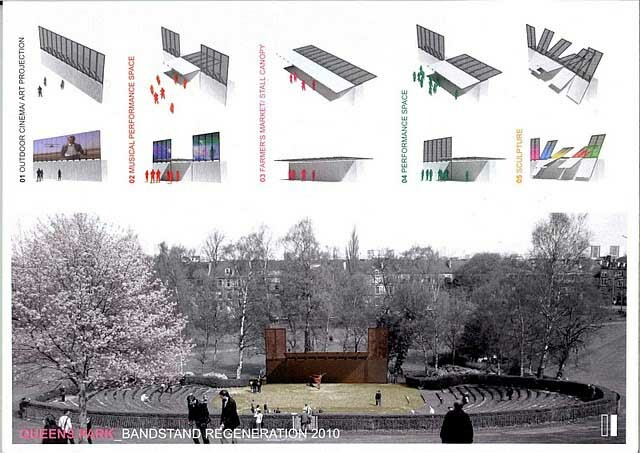 It has previously worked with local Community Councils in the South-side of Glasgow to promote a design competition for a new bandstand in Queens Park. The winner went onto to work with the Community Councils to secure funding and move the project forward. 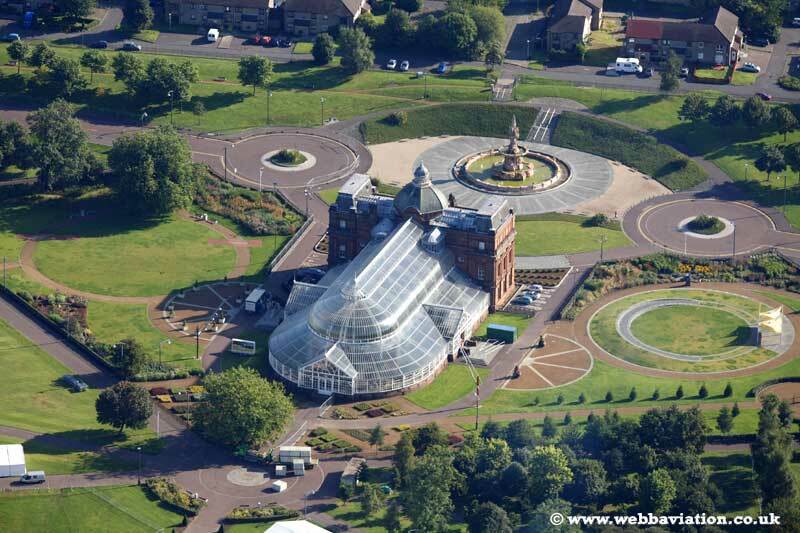 They have also recently completed a competition for Springburn Winter Gardens and been instrumental in the forming of Springburn Winter Gardens Trust. The A,P&P have welcomed the opportunity to work with Rosemount Development Trust and the local community in Royston to develop a design competition for architects and students themed around the spire. Lightworks have offered their support in assessing the feasibility of the design and in developing project costs. GIA are grateful for this specialist advice. The Royston Spire is the only remaining part of the Townhead – Blochairn Parish Church which first opened in 1865 in Roystonhill (then known as Garngadhill). When the church was still in use it was adorned with carved stone heads sculpted by Mossman and decorative stained glass windows designed by William Morris and Co. Some of the stone heads now lie within Spire Park next to Royston Spire and the stained glass windows are now in the care of Glasgow Museums. The Spire is owned by Rosemount Development Trust and is all that remains of the original church building, the Trust own all the land highlighted by the black line in the map below. The hall building and the remainder of the land is owned by the Church of Scotland. The Spire is situated on Roystonhill opposite new build two storey Spire View Housing Association houses, with low rise new build private housing surrounding the site to the east. The site commands excellent vies across the city of Glasgow and beyond. Rosemount Development Trust have been granted the opportunity to run an Oral Histories project for the duration of the competition, which will allow them to gather memories from the number of residents who remember the church, interior, notable events etc. The Trust will organise to carry out an oral history of local residents and former ministers, worshippers etc to create an oral history that will safeguard knowledge of the building and help celebrate the 150th year anniversary. This project will engage all residents of Royston (pop 5,000) and enable individuals and voluntary group members to spend time together. This will provide opportunities for people to take a greater role in community life and to develop new confidence and skills covering community work, digital media and sound engineering. This will benefit the regeneration of Royston which is one of the most deprived parts of Glasgow and enable a creative and innovative approach to involving local people which it is hoped with culminate with the full restoration of the Spire and ongoing community development programmes. Files will be available to download via the GIA website competition page.